What varieties of pork are there? As it happens with the ham and shoulder, the loin is also regulated by Royal Decree 4/2014 of January 10th, so, except from loins produced by white-coated pigs, we can distinguish 4 categories. So, what varieties can we find? “Lomo embuchado de capa blanca”(white-coated): better known as “lomo embuchado” (stuffed loin). 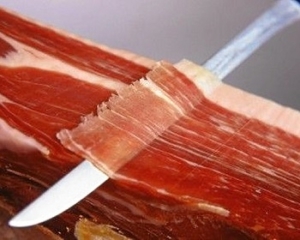 It is a loin produced with non-Iberian pigs, whose fat infiltration is much lower. It is larger than that obtained from Iberian pigs. Its flavour is good, but not as tasty as that of the Iberian varieties. 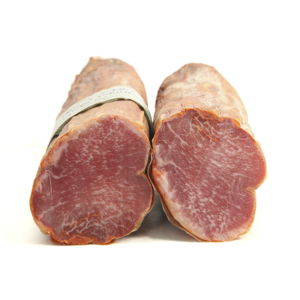 “Lomo de cerdo Duroc 100%“: It is a loin that would be between the loins produced with white layer pigs and the loins produced with Iberian pigs. 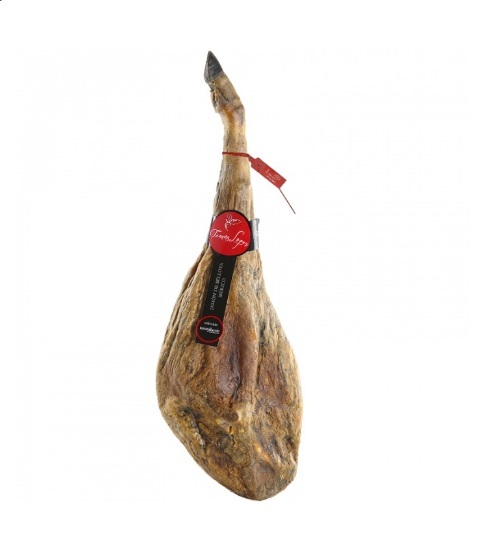 It has a higher level of fat infiltration than the white layer loin, but without reaching the level of the Iberian pigs. 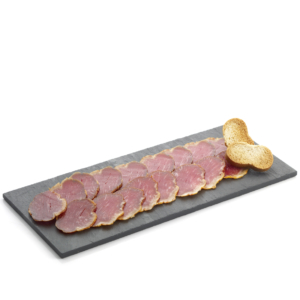 “Lomo de cebo ibérico”:It is a loin that is produced from Iberian pigs fed with high quality fodder. Its appearance presents more infiltrated fat and it is tastier than that of white-coated pigs. 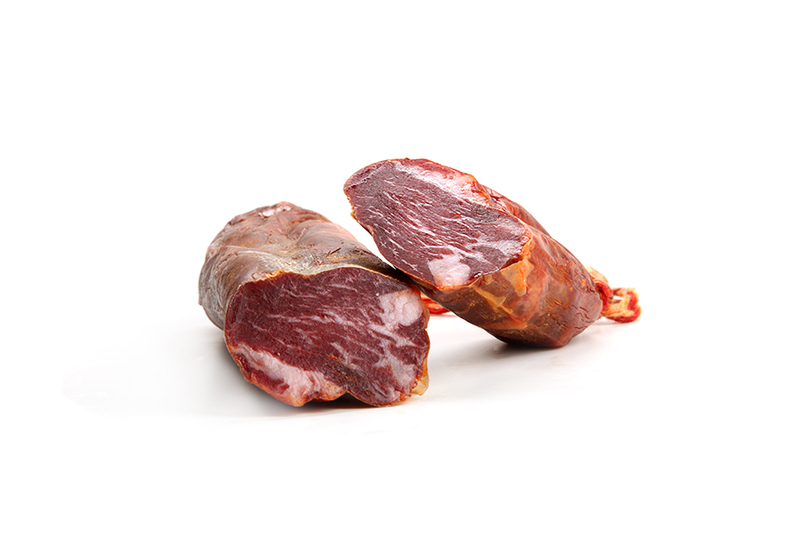 “Lomo de Cebo de Campo Ibérico”:This loin comes from an animal that has walked through the countryside. This provides an extra juiciness to the piece, making it tastier and with a more uniform fat infiltration. “Lomo de bellota ibérico”:This loin comes from a pig that has been fed on acorns, which gives it an extra flavour. The flavor gains in intensity and seemed a significant change with the other varieties. Its size is usually somewhat smaller and its fat infiltration is very high. “Lomo bellota ibérico 100%”:It is the most appreciated of all the varieties. 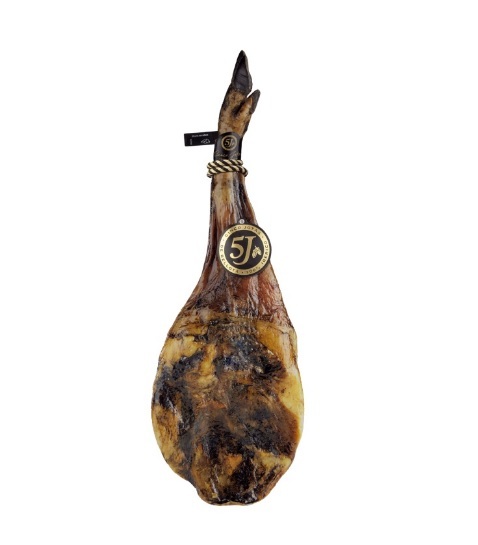 It comes from pure Iberian pigs, therefore its flavour is the most intense and it is the one with the most homogeneous fat infiltration. The loin here is usually shorter and narrower due to the smaller size of 100% Iberian pigs. “Cabecera de lomo”:It is the part of the pig that joins the pork loin with the “presa”. Its fat is much more noticeable and its leanness is somewhat more fibrous. There is a clear separation between fat and lean, so the fat infiltration is not as homogeneous as in the loins. It is not as appreciated as the pork loin, although it is a product with a good taste. “Presa” or Iberian loin: It is a part that is near the shoulder blades of the pig and its size is very small. It is one of the most prized bites due to its excellent fat infiltration, juiciness and excellent flavor. Remember that you can try all these products in any of our stores that you will find in this link . We also give you the option to buy the product through our online store. What is a “caña de lomo”? @moniberic What is Iberian “Chorizo”?